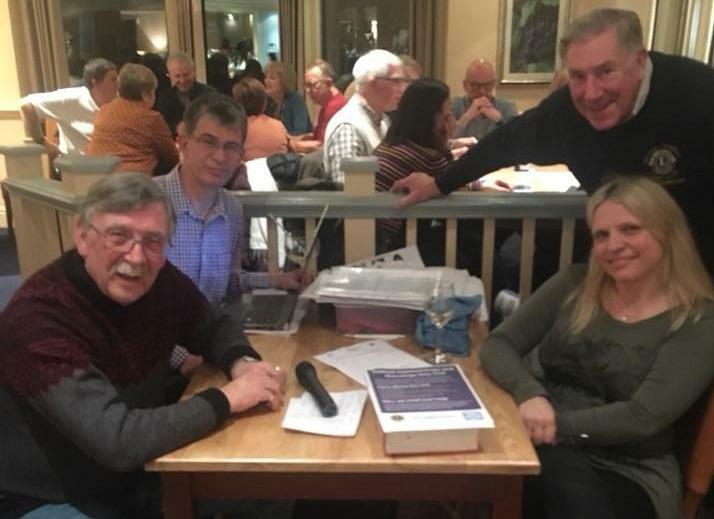 The Balsall Common Lions Club are hosting four pub quiz nights this year with all proceeds going to the Haematology and Oncology Day Unit at Solihull Hospital. The second event of the year saw 22 teams, over 100 participants and eight rounds of tricky questions to get people thinking! The group are keen supporters of the hospital charity as Solihull is their local hospital and some know people who have received cancer treatment there. The Haematology and Oncology Day Unit was opened at Solihull Hospital in 2018 following a successful £150,000 fundraising appeal. The unit was designed with patients needs in mind and offers a more peaceful and comfortable environment for patients to receive chemotherapy. Before the new unit opened, most chemotherapy patients were treated on Ward 19 at Heartlands Hospital or at the Sheldon Unit at Good Hope Hospital. With a greater need for chemotherapy treatment, the new unit will be easing the pressure from the other wards. Rachel Learmonth, Fundraising Manager at Solihull Hospital Charity, said: “A huge thank you to everyone in the Balsall Common Lions Club that helps to make these events happen, and thank you to everyone who took part and donated to the Charity! The teams raised over £300 for the unit to help the Charity purchase all new equipment that will help the staff at the unit give the best possible care for patients. The money will go towards new cooling caps and an Airglove. The cooling caps are worn during chemotherapy treatment and help preserve hair follicles as hair loss can be a very distressing thing for both male and female patients. The Airglove is a warming system that helps staff see veins easier so when inserting cannulas, it is easier and less painful for the patient. To find out more about the Haematology and Oncology Day Unit at Solihull Hospital and to donate to help us fund some of these added extras, then please click here. Pictures: Balsall Common Lions Club Facebook page.